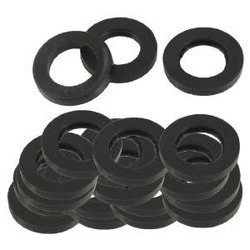 Prominent & Leading OEM Manufacturer from Delhi, we offer rubber washer and rubber insert. 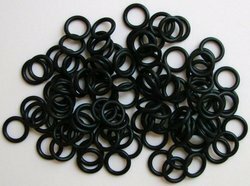 We are manufacturing rubber washers as per drawing, samples, specifications. Available materials EPDM, NEOPRENE, SILICONE, VITON, PU, NATURAL Etc. CUSTOMIZED RUBBER INSERTS AS PER DRAWING OR SAMPLES. A convenient and effective means of preventing crushing of insulation at pipe support locations of chilled water, condenser water and domestic hot / cold water installations. Dimensional accuracy, since each piece is machine molded. 'Tongue & Groove' locking arrangement saves labor and eliminates any possibility of air gaps or relative shift between insert halves. Resistant to moisture, termites and distortion with age. Additional metal shield for load distribution is not required, as it is with foamed products.